A change of seasons marks the perfect time to re-evaluate your wardrobe and make room for new, seasonal pieces. Now that summer is officially here, do a closet cleanse to make sure your best, most lightweight, summery pieces are front and center. Let’s get started. First, separate clothes into category by type. Then, sort clothing into two piles — donate or keep. Once you’re done, there should only be items left that fit, flatter and look super fresh. 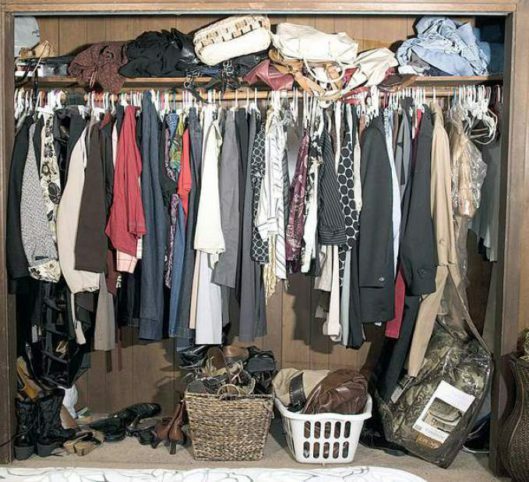 Organizer extraordinaire Melanie Charlton shared eight more tips for streamlining closets. After a decluttering spree, you’ll need to create an organized system for all of the clothing and accessories leftover. Skip a trip to the dollar store and, instead, organize your closet with these household items. Tip: Unused picture frames or frames without glass serve as great jewelry holders! It’s amazing how simple folding techniques can save SO much space in a wardrobe or closet. 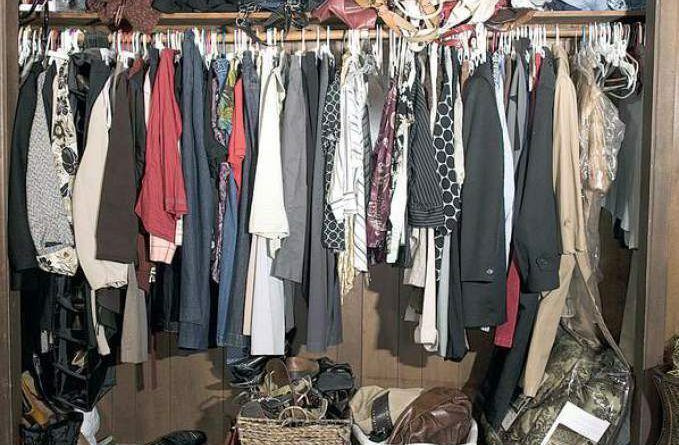 Plus, with these methods, you’ll actually be able to see all of your clothes. Watch the video above to see how to properly fold everything, from pants to socks. No matter where your shoe drop-off is — mudroom, entryway or bedroom — it’s important to keep these areas neat. Tripping over loose shoes every day is actually quite hazardous. Use these eight hacks to get shoe storage under control. Now that you’ve decluttered and organized, make your closet look truly beautiful with some finishing touches. Hang mirrors to visually enlarge a small closet. Choose proper lighting to brighten a dark space, even if it’s just rope lights along the door frame. Get 10 more genius styling tips from Lisa Adams, CEO of LA Closet Design Company.